Sea Crest is an Ocean Front resort with all the amenities you could ask for. 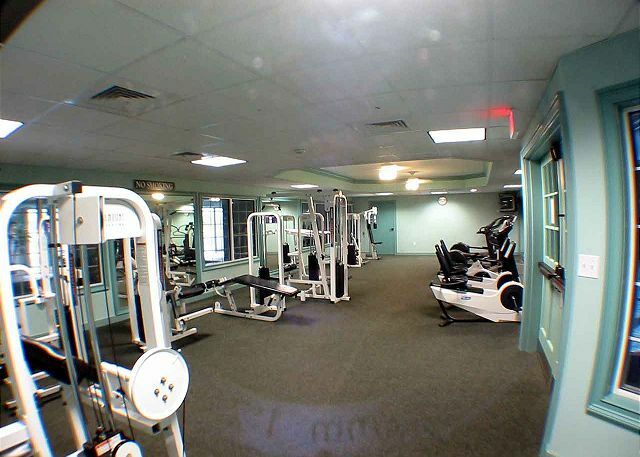 On-site gym, seasonal outdoor bar, hot tub and 3 swimming pools. 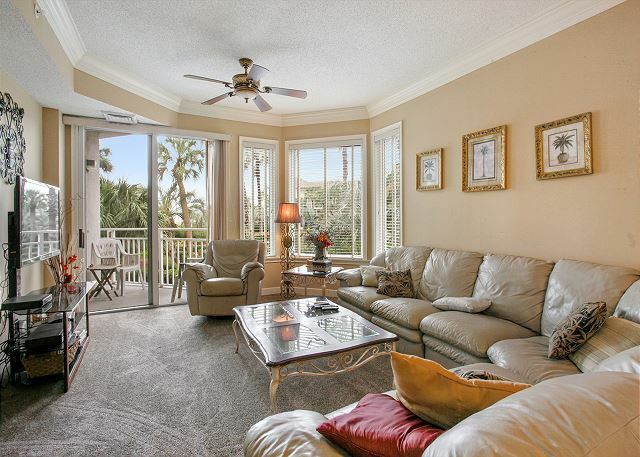 Sea Crest #2110 is on the first floor right next to the elevators to take you quickly to enjoy the pool and the beach. 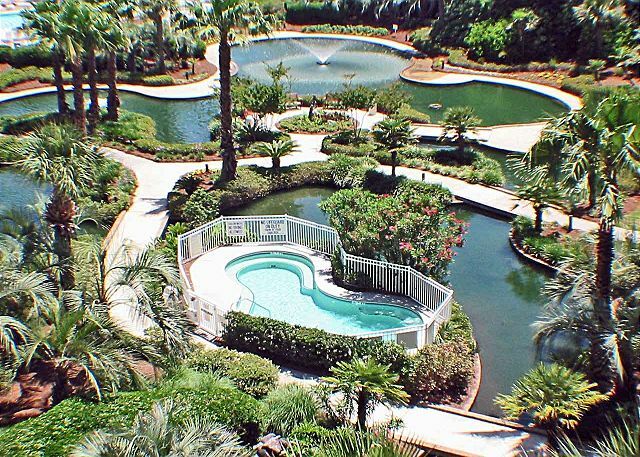 Sea Crest features covered parking and an incredible landscaped courtyard with fountains. 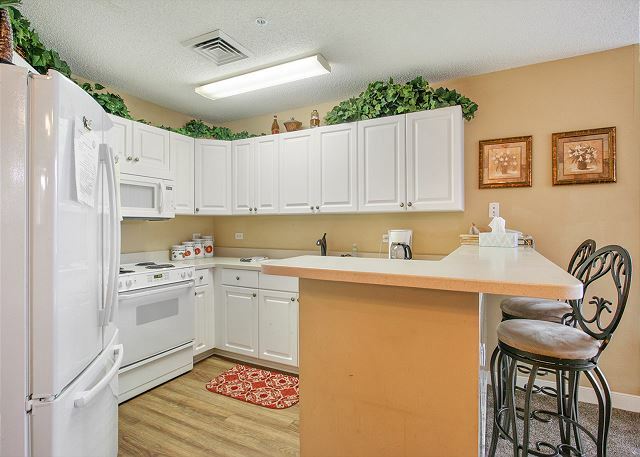 Within a few steps of Sea Crest you can find more restaurants, ice cream, shopping, coffee, putt putt golf and grocery stores at Coligny Plaza. 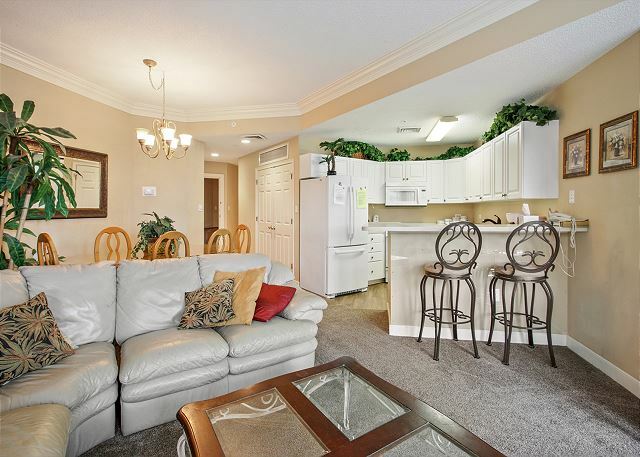 Unit 2110 is 1,327 square feet and beautifully furnished. 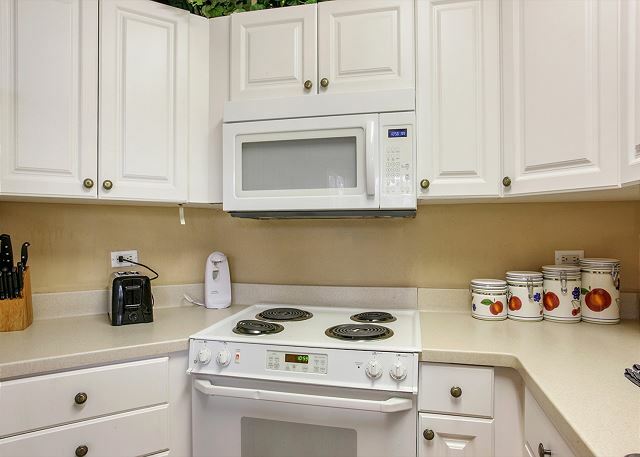 The kitchen is fully furnished and the owners have thought of everything you will need while staying at Sea Crest. 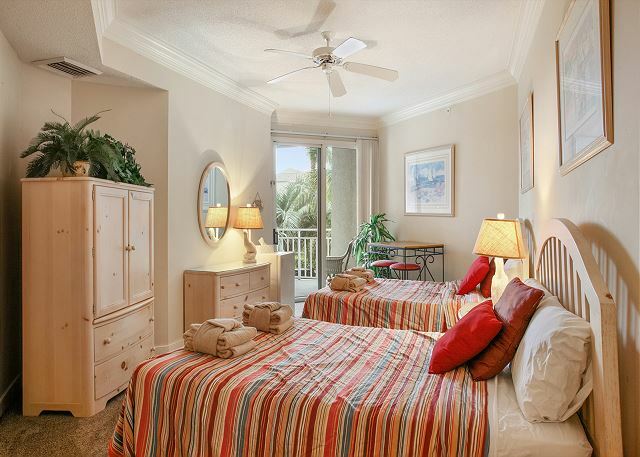 This ocean side 2 bedroom/2 bath condo will be a true escape to paradise. 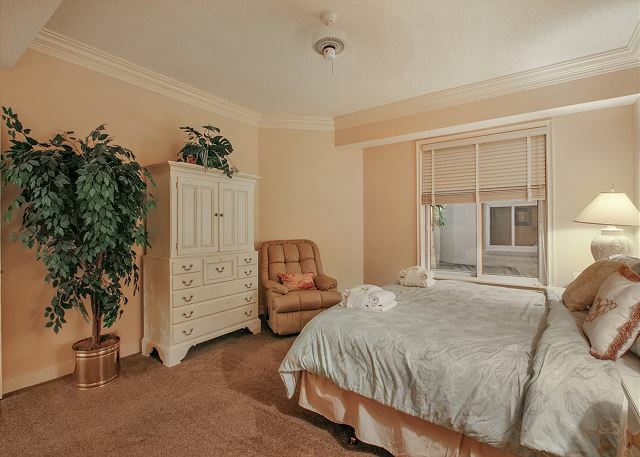 There is a King in the master bedroom, and two doubles in the guest bedroom. 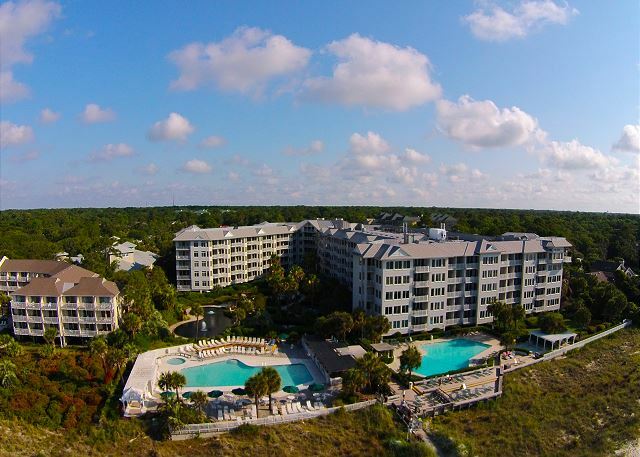 We love staying at Seacrest when we visit Hilton Head! It is the perfect location for my family! This condo is nice but does need new paint and some updating. It wasn't as nice as when we stayed in it two years ago. 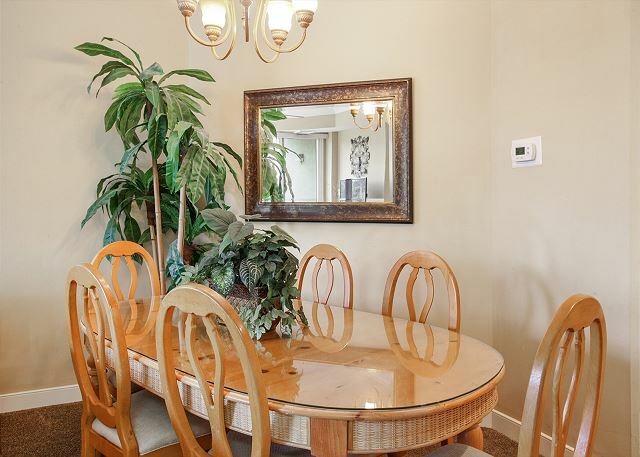 Overall it is a nice condo in the perfect location. We love HHI. Come every year. Second time we stayed in seacrest 2110. Everything was good. Only complaint is we didnt have use of the dryer for most of the week which was a pretty big inconvenience. Faucets in the bathrooms need replaced. And toilets are not the best. We had a fantastic week at Sea Crest! We traveled with our two children and my grandparents. The condo was spread out enough that we werent on top of each other the whole time. The location is fantastic, as we took nightly walks through Coligny Plaza and let our 3 year old play on the Pirate Playground. We did t spend much time on the beach, it was very hot while we were there. Would love to return in cooler months to allow our kids more playtime at the beach! This was a lovely location. Easy access to the beach and town! The unit was spacious with lovely balconies. This rental was perfect, it was exactly what I expected and how it was described. I only saw a few small, very small surface fix ups. Except for the dryer eating a few clothes I had all great experiences with this rental AND the rental agency!! We spent a week in Hilton Head enjoying the beach, kayaking, restaurants, and the eclipse. 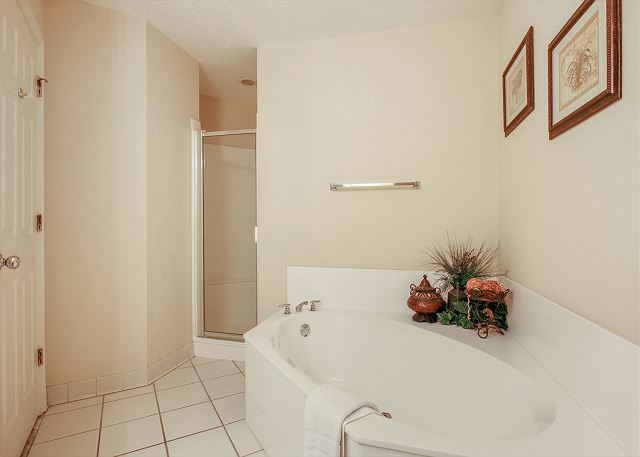 The furnishings in the condo are a bit dated, but it was mostly clean (one shower, not so much) and comfortable. And the location could not be beat! Loved Pool Bar Jim's and the amazing beach. Pretty hot in August, but I would recommend this rental if you're visiting Hilton Head. Walking to Frosty Frog's was key! The pictures were very accurate, too. You can't beat the location or the amenties in Sea Crest. This unit just needs a little TLC. The walls are marked up & the carpet in the living room & dining area needs to be replaced. It didn't effect our enjoyment of our vacation. It is priced lower than other 2 bedroom 2 bath units so I think you get what you pay for. 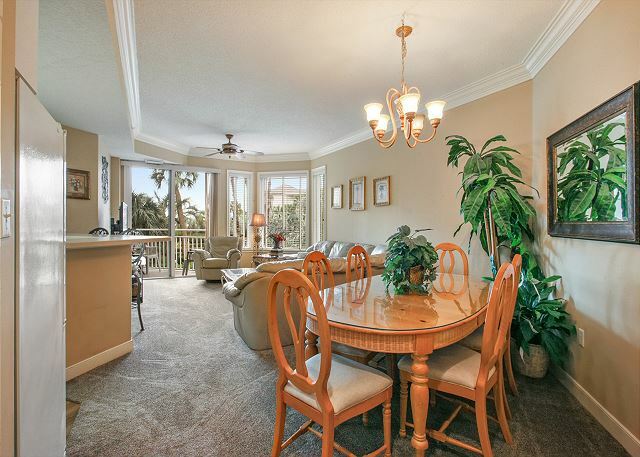 Great Condo, walking to restaurants, shops and beach was so convenient. Very happy, can't wait to come back again! Happy with condo but not happy with sheet rock noise & sanding. Condo great. Noise starting early from remodeling condo beside us. Sheet rock dust boiling out windows into our condo. Couldn't sit on deck. Came home with a sinus infection. Condo was spotless. Location was great. Had a little problem and maintenance showed up right away. Would recommend this place to anyone. Had a great time even though weather was not as warm as we would have liked. Great way to bring in the new year! Great vacation. 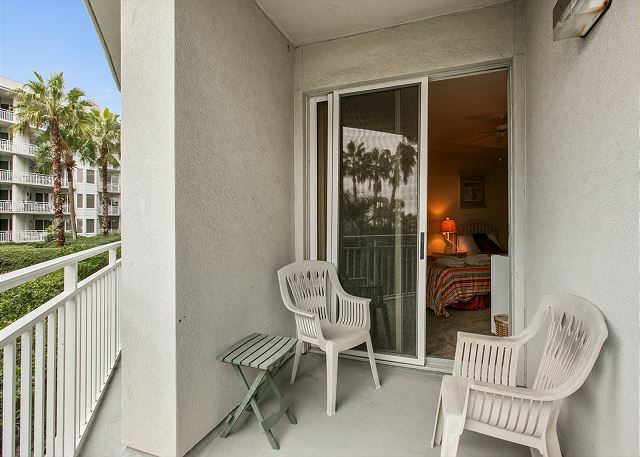 Condominium steps from the beach. Love the location. Definitely would rent the condo again. Condo had good cable tv. great vacation. Loved Sea Crest. We come back every year. Good location and pool amenities. Disappointed in the overall condition of the rental unit. Very worn looking inside as well as furniture. We would not return to this unit. Overall, we enjoyed our stay at the Seacrest. We did have a few problems with our washer but it was quickly replaced. The only suggestion that I would propose is to install a keypad to the condo door. Having to carry a key (only given 2) with 8 people was difficult. Most have keypads and I hope you consider installing one as well. 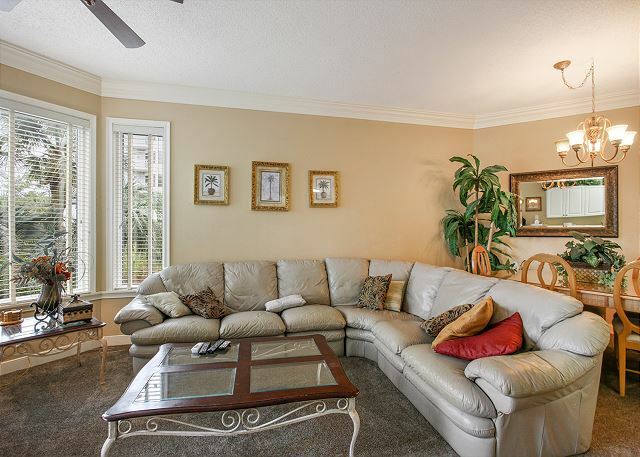 We booked a last minute condo At Sea Crest in Hilton Head Island. 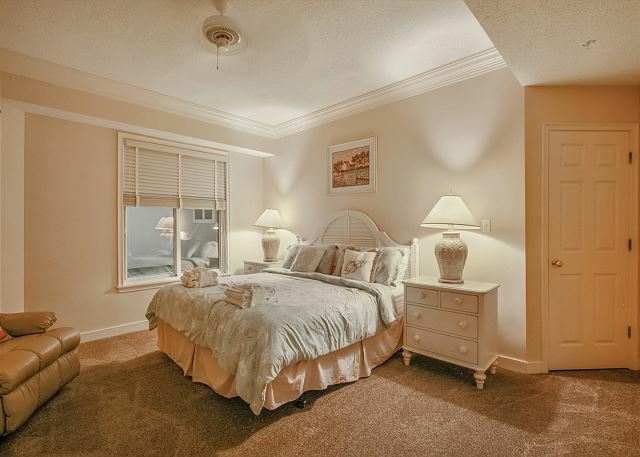 The Sea Crest 2110 condo is Ocean Front but set back in the complex. 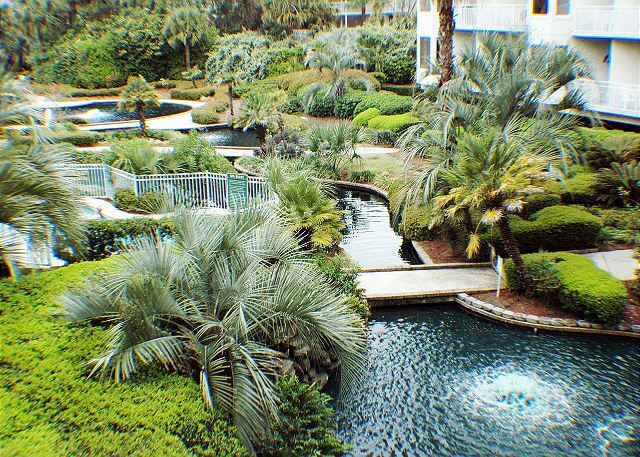 You have a nice view of the tropical plants and ponds and it is a very short walk to the beach. 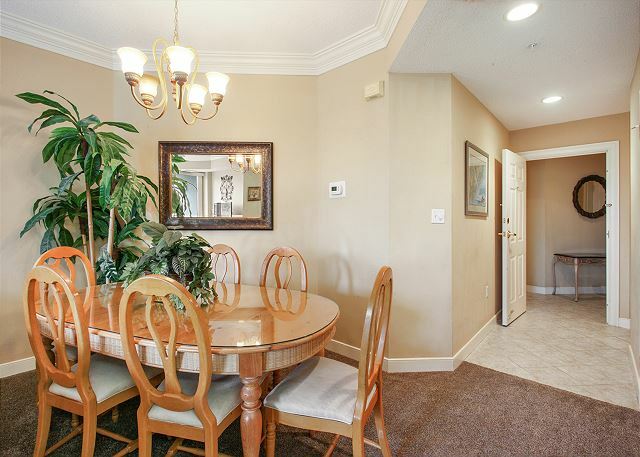 2110 is a 2 bedroom 2 bath and was fully equipped, very clean and nicely decorated. We had a minor issue with one of the bathrooms, but I'm sure it will be repaired in short order. 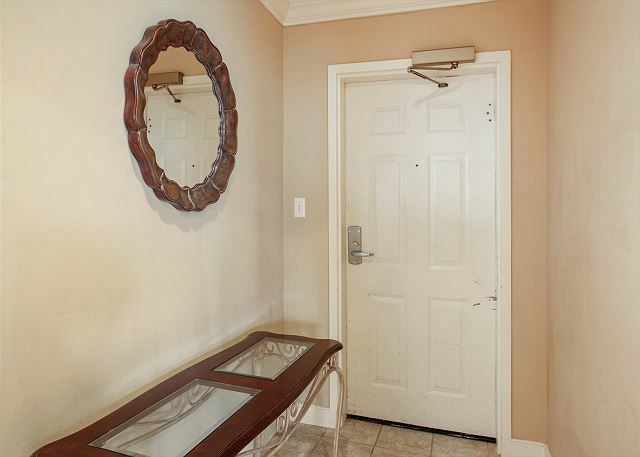 You are close to the elevator and stairs and right across the street from Coligny Plaza that has everything you need for your stay Grocery ,restaurants and Shops. The beach was beautiful and everything was as was described to us . We definitely rent again if the deal is right. Property was as advertised. 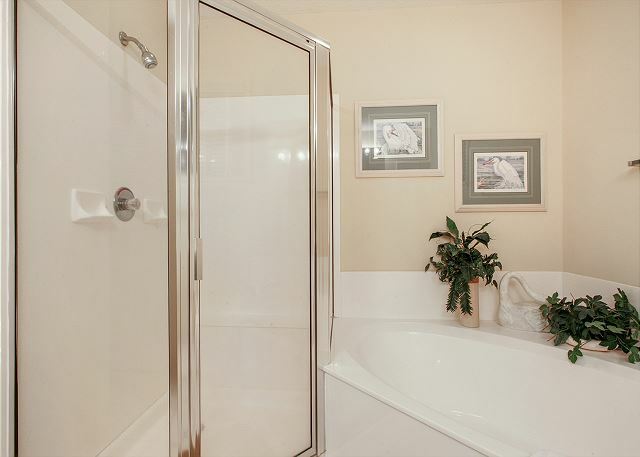 Plenty of room, well stocked including beach items for the family and great location. Condo facilties are excellent - two pools, kid pools, indoor/outdoor hot tubs, exercise room and of course, fantastic beach access. Seashore Vacations is an excellent property management company to work with. Nice place to go for off-season. We loved this condo. 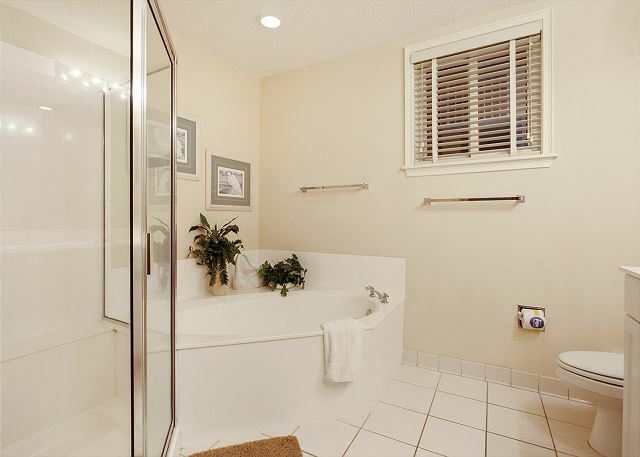 Location was great - right across the street from Coligny plaza. The couch was very comfortable. The bed mattress was a bit firm, but everything else was wonderful. Our family of 5 (3 kids) rented this place for a week and it worked well for us. 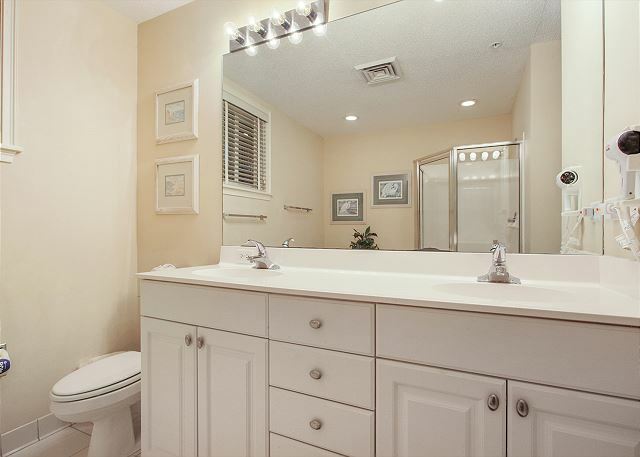 The location was great, walking distance to everything you needed! The condo had all the amenities that we needed as well. My only issue was that the showers needed to be cleaned up a little more. We stayed at the Sea Crest the week before Memorial Day and it was perfect. The weather was great, it wasn't very crowded, and our kids (6 and 4) met plenty of friends to swim with at the pool. 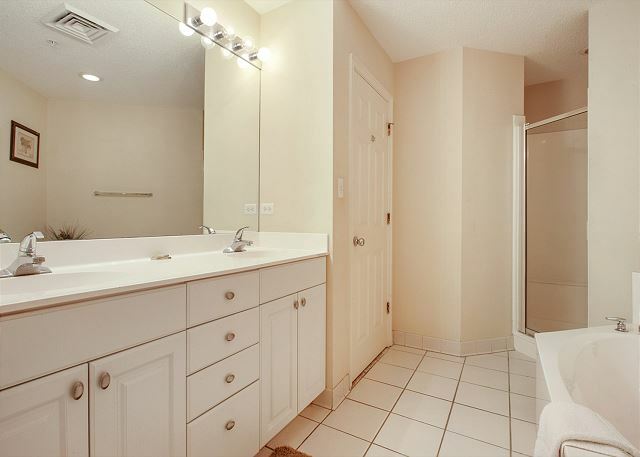 Our 1st floor unit was so convenient to the pool and walking to Coligny, and it was nice that the workout room and indoor hot tub were right across the hall. 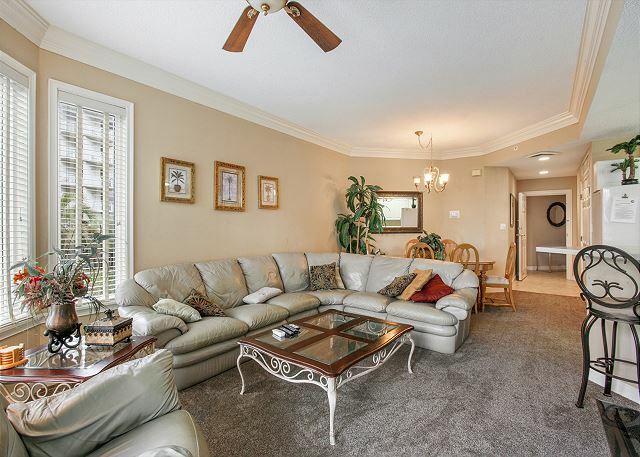 The unit was very spacious and we felt like we could hang out in the family room after the kids went to sleep in the 2nd bedroom and not wake them up because the rooms were spread out nicely. I'm already looking into returning!! Everything was perfect. The unit is in an awesome location, close to everything which means short walks on cool days. I'd stay here again for sure. Nice property, very comfortable. Great location and excellent management team. 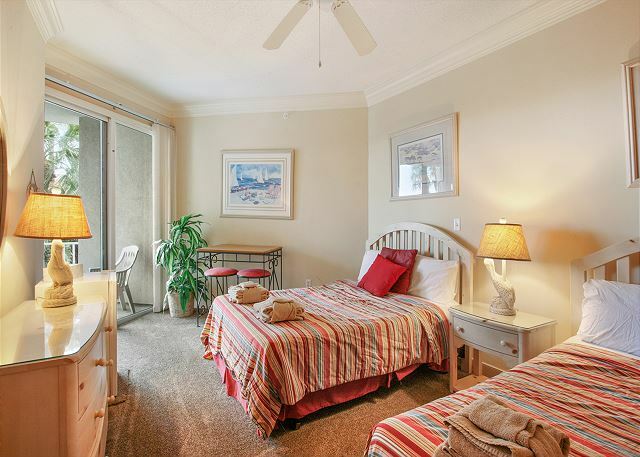 Sea Crest is a great location on the beach and close to Coligny Plaza's shops and restaurants. Hot tubs (indoors and outdoors), swimming pools are great but the best is the large sun deck overlooking the beach and ocean. 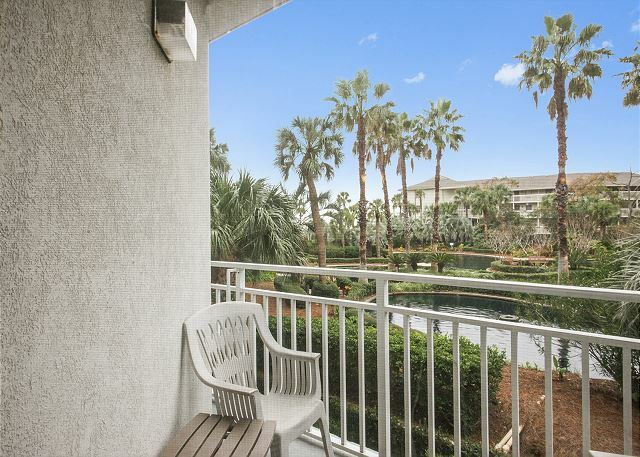 2110 is well-located on the first floor with a lovely lagoon view. Lucky us! Temps were warm, skies mostly sunny! SEACREST IS A GREAT LOCATION. THIS UNIT NEED SOME TLC, DEEP CLEANING, AND OVERALL UPDATING. DECOR IS MINIMAL, AND BLAND! Great location. Great beach. Convenient to shopping and restaurants. Overall great vacation and condo. Condo could use some paint and kitchen hardware. Great vacation experience all around! Location absolutely cannot be beat! Close to beach, pools, shopping, restaurants, etc. our unit was very spacious, with everything one would want. Clean and comfy too. Reservations, check-in/out were super easy. Staff was friendly & helpful. One small maintenance item was quickly attended to (on Friday evening!). Definitely would stay here again. Highly recommend it! We had a great time. The rooms were very close to the ocean and the pools with a great view! We had a great vacation. We loved the condo and the location. 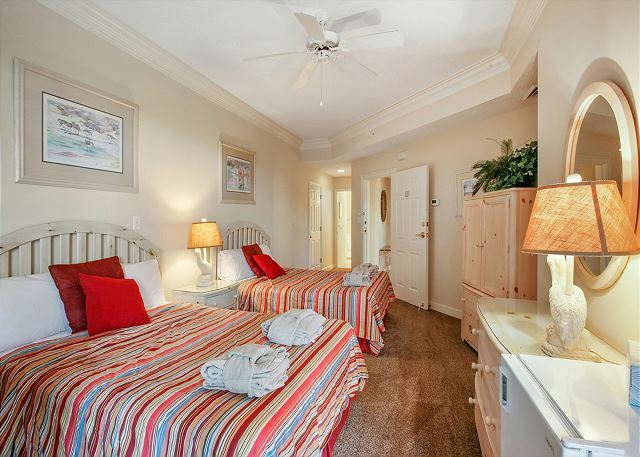 We loved the easy access to the beach and the pool and walking to Coligny Plaza. We just Hilton Head and will be back next year! In our first stay at Seacrest we had an overall good experience. Unit was clean and up to date. One disappointment was the size of the balcony that allowed only two people to sit on comfortably. But that is nothing that can be remedied. We would rent it again. The Seacrest is the best place to stay on Hilton Head. 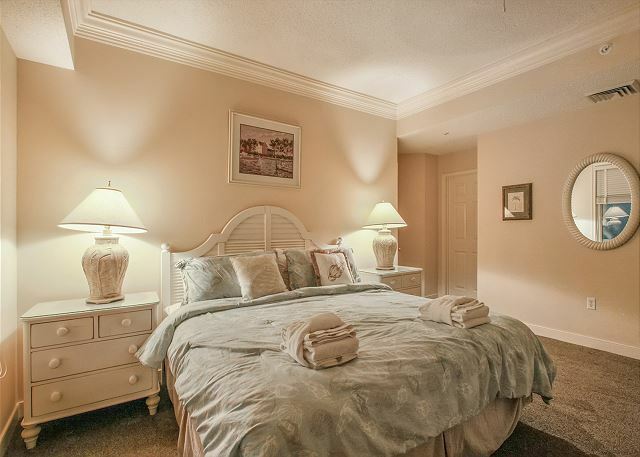 Located right on the beach and directly across the street from Coligny Plaza, it is a great place to stay. This is our sixth time there and we haven't seen another condo complex that matches it. Second year in a row we've stayed at Seacrest. Love it! Only complaints are the main hallway outside of master bedroom was a little noisy & the weather could have been a little nicer, maybe next year. We will be back! Superb, is this property for sale? Check in was the easiest fastest I have ever had. Property locale is perfect. 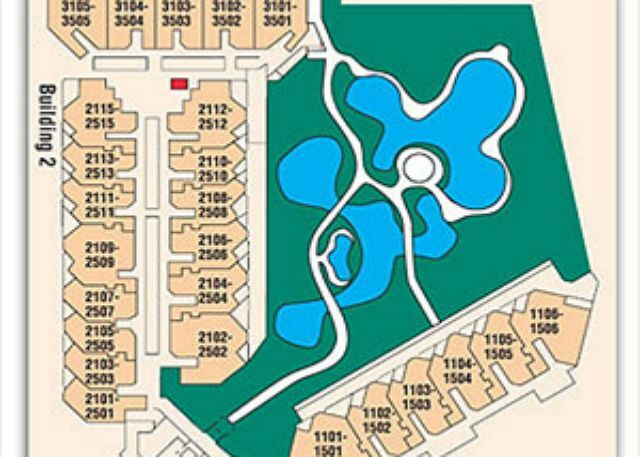 Layout of condo and complex amenities were great. Condo could be updated a little, new dryer, more kitchen stuff especially cups, linens left little to be desired and carpet should be replaced with tile or wood. But will be back for sure! We had an overall great stay at 2110 Seacrest. The property was in a great location and the building was nice. I imagine it gets crowded in that area in the summer but in March it was really convenient. Having an elevator was very convenient and you could not hear the cars even though the parking lot was right beneath you. The bathrooms and kitchen were not very clean upon checkin. That would my biggest and really only complaint. Picked up package for unit 2110 from lock box 6:15 pm. Keys did not work; were for unit 2204. Called two #'s listed & left msg. Maintenance personnel brought keys to us & went to condo to make sure it was the right set. Check in was not at all pleasant. Everything else was fantastic. Enjoyed our stay! Repeat visit, hope to be back! Enjoyed our stay but the unit could have been much cleaner especially the bathrooms. Also, the ceiling fan in the living room did not work. Could not even find a switch to turn it on. There were 3 adults and it worked out fine but the patio, where we spend a lot of time, was way to small. Great unit...we called to have a few things fixed. They came to see what they were and said parts were to be ordered which was fine. However it wasn't done the entire week. A note on the unit to notify us that it wouldn't be corrected during our stay would have been nice. We had a wonderful week in HH. The check-in was very easy and quick. The unit was exactly as described. There really isn't an ocean view since the unit is on the first floor (but we knew this when we rented the unit). The courtyard view is beautiful. Even though the unit is right above the parking deck, you don't hear noise from the cars. We would rent this unit again!